While most of us were still learning the alphabet, the young girl in this video was perfecting her breakdancing skills. 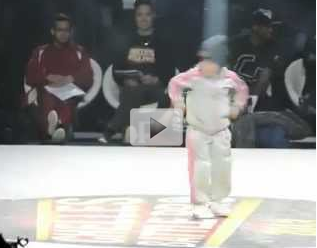 Six-year-old Terra blew away her competition at the Chelles Battle Pro Breakdancing competition in Chelles, France. Terra's outstanding tricks and fast body movements earned her the "Best Dancer of the Baby Battle Award," even though all of her competitors were older, some even twice her age.